Hi loves! I figured I would share some of the amazing finds I got from dollar tree! 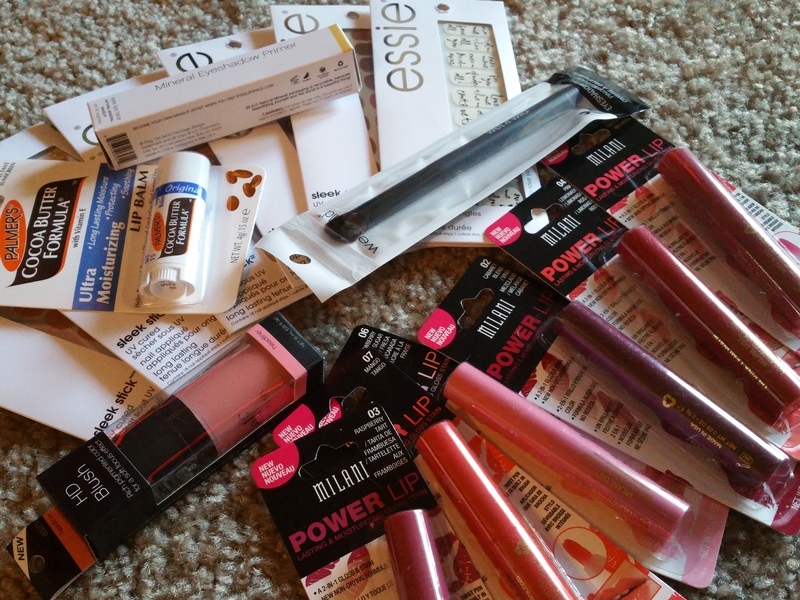 That’s right…dollar tree haul time! I don’t go to the dollar tree for beauty items, but I figured I haven’t been there in a while might as well see what they have. Also, I was bored. What better way to kill boredom then to go on a treasure hunt for makeup goodies! I know you are probably thinking- if they are from the Dollar Tree, the items are probably crappy! I beg to differ…on with the haul! When trying to find the better items at Dollar tree, I would suggest going to one in a more populated area for better selection. Also, if you can’t find a specific color at one location, check another one- you are more than likely to find it. 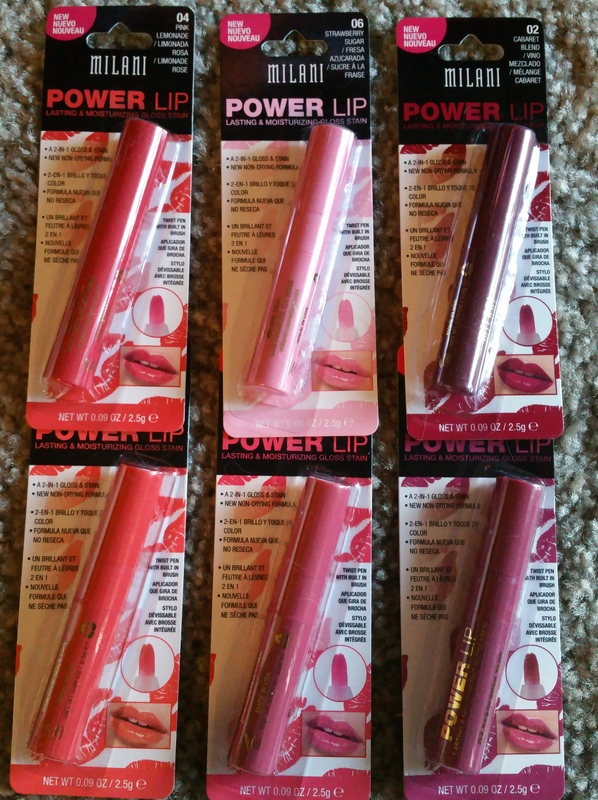 These are my absolute favorite finds- the Milani Power Lip Lasting Gloss Stains!!! On the Milani website, these glosses are priced at $6.49 for one. I got six of them for that price! I also saw the Milani Lip Intense liquid lip colors, but did not pick any of them up. I don’t feel I can pull off those bright colors, yet! When I usually go to Dollar Tree, I am able to locate a few elf brushes and that is it. Today was my lucky day! 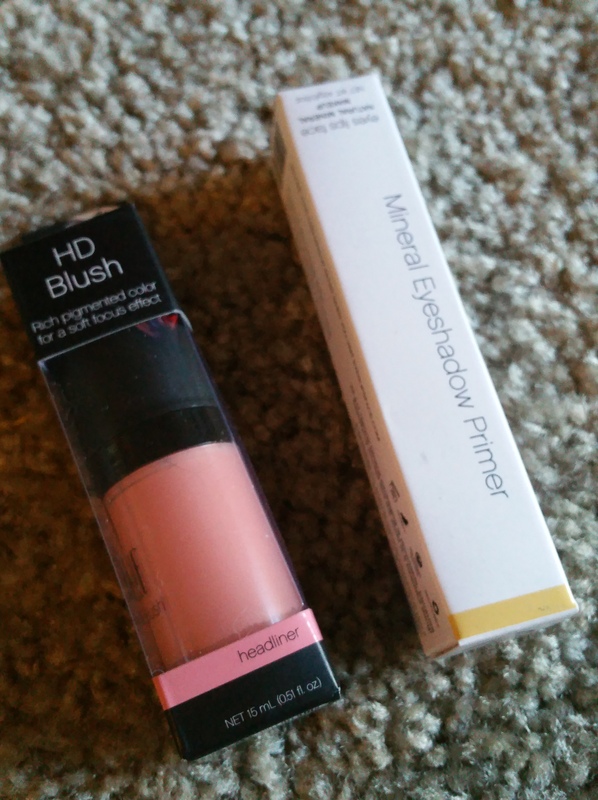 I was able to find the Mineral Eye shadow primer and HD Blush in “Headliner”. The primer is not much of a discount since it’s a $1.00, but it’s hard to find. The HD Blush was a steal at $1.00, originally $3.00. So be sure to grab yourself one! I haven’t tried out the primer as of yet, but when I do- I will definitely post a review on it! I have heard a lot of great things on the blush and figured it was worth the $1.00 to try- why not? I have swatch it and love the product so far, but have yet to try it out with a full face. Review coming soon! Very random finds, but very exciting- at least to me! Last Christmas, I came across these Wet n Wild brushes and decided to give them a try. I find they work pretty well for only being a dollar. You can never have too many brushes in my opinion, although, my fiance feels different- LOL! My next exciting, but random find it Palmer’s lip balm! I love this stuff and for a dollar- you really can’t beat that! My Dollar Tree offered three different “flavors”, but I opted for boring and stayed with the original Palmer’s cocoa butter formula. Lip balm mini review: This was a great find at a great price! I find myself using this more than some of my higher end balms. 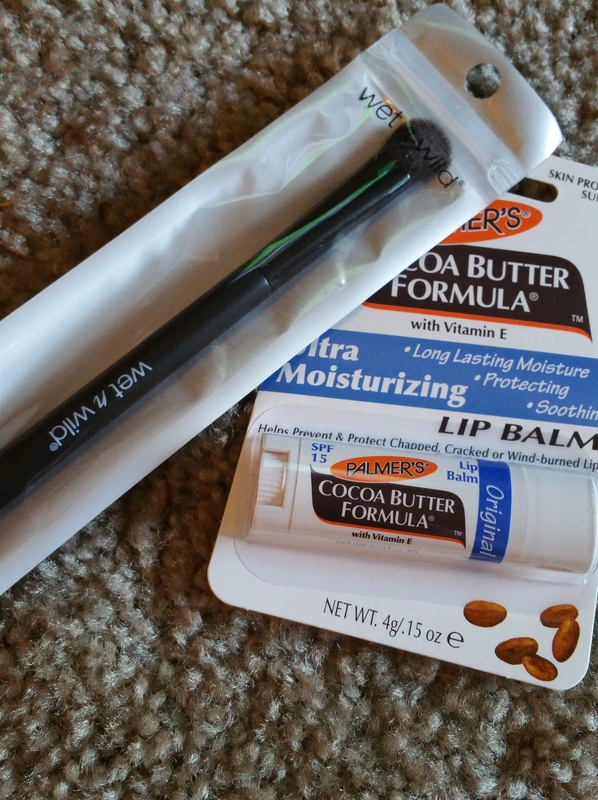 I love the smooth application and moisture it adds back into my lips! Must buy back ups! Last and definitely not least are the Essie Sleek Stick Nail Appliques! I bought six of them, but they did offer a variety of other designs- these were just the ones that appealed to me. 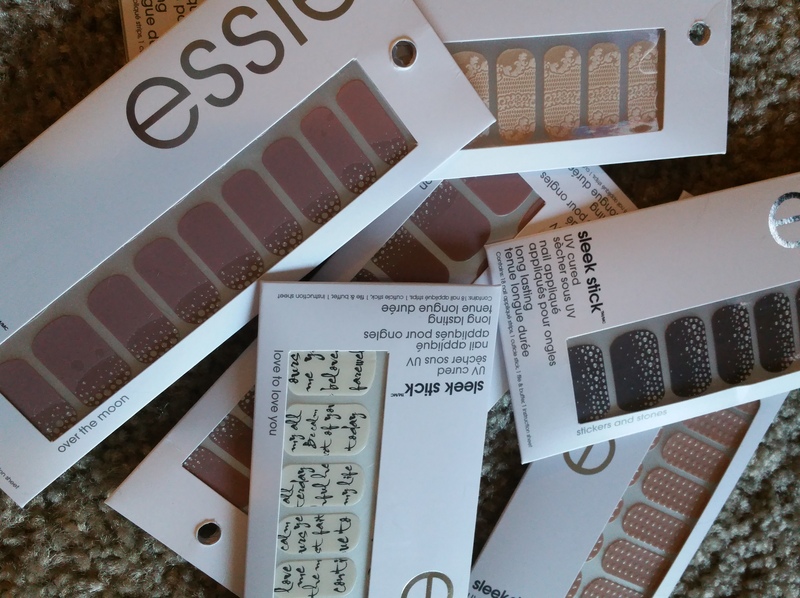 When I go to Dollar Tree, these Essie appliques are something that I have to keep an eye out for. On days where I do not have a whole lot of time to do my nails, these nail wraps really do come handy. Normally priced at $10.98 at Walgreens, these ended up being about 90% off! I will also say I know a lot of nail wraps out there including Jamberry! For the price and from my personal experience these have the best staying power and easiest application. I hope you enjoyed my Dollar Tree haul! If you go to your Dollar Tree leave a comment below on your Dollar Tree finds! Hello lovelies! 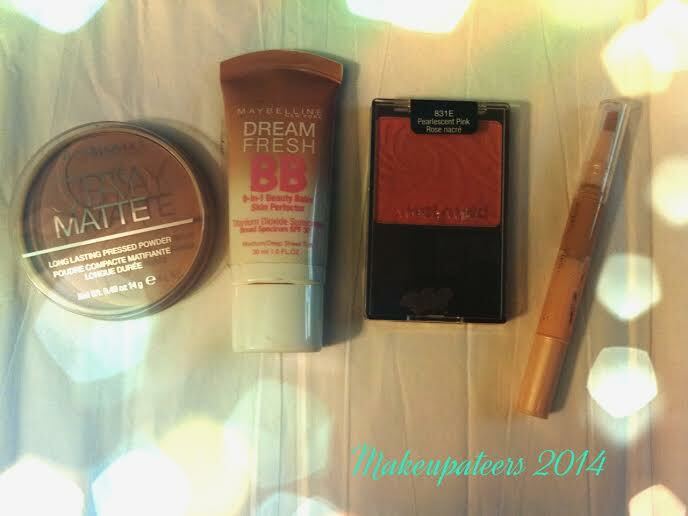 2013 brought a lot of amazing beauty products some new and some newly rediscovered. ENJOY!